Rebecca is an adorable 3 year old! 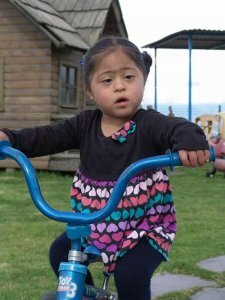 She has an infectious smile and the Tías love asking her for a hug because she will run and jump in their arms for a full body hug! She has a favorite doll with rosy cheeks that she takes with her everywhere, and shows her to everyone.